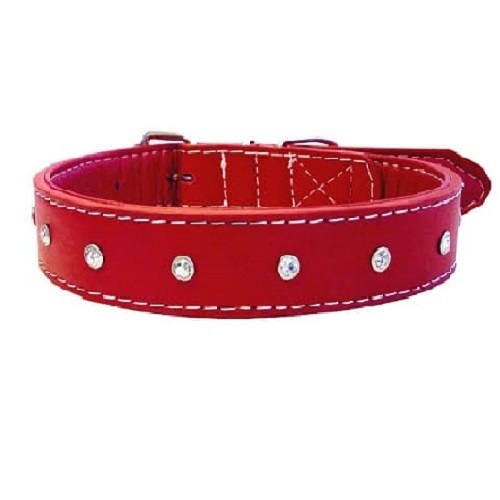 Diamante dog collar red, is also available in a brown colour. 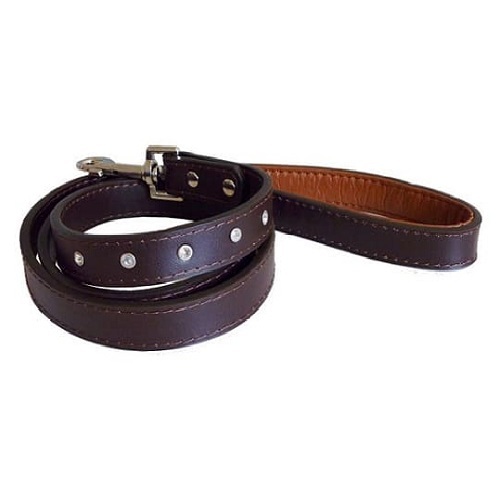 The collars are made with quality leather and lined with faux leather. They are also available with matching leads. 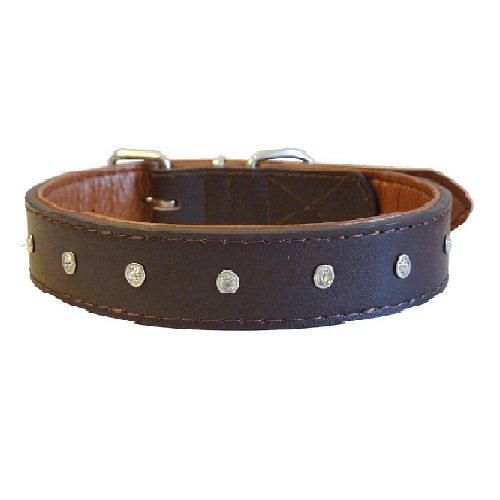 The Diamante dog collar red and brown adds a hint of stylish bling to your dogs attire. So dress to impress with this touch of luxury, The outside of the collar contain 5-9 stones depending on size with a stitched edge. The outside is made using genuine quality leather while the inside is lined with faux leather which provides a soft cushioning feel. 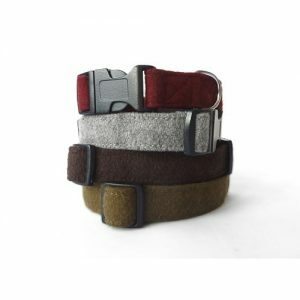 The collars are available in four sizes and as a result will fit most dog breeds. 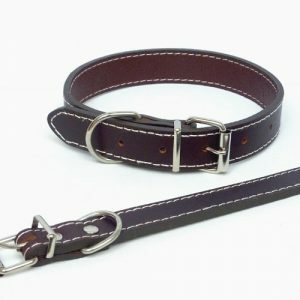 Please measure your dog’s neck size carefully so that you will receive the correct collar size. Add a bit of glamourous fashion to your dogs wardrobe. 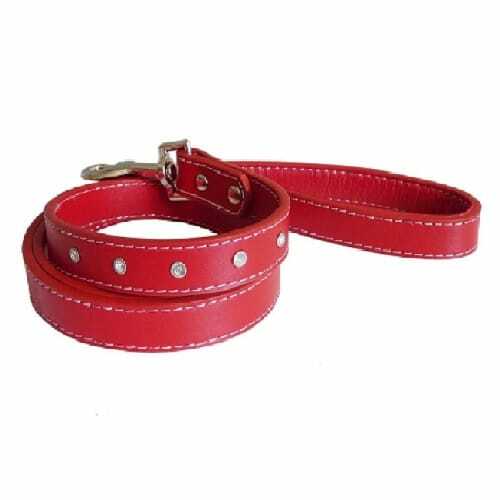 The diamante dog collar red or brown are available with matching leads.